Spray 6-quart Instant Pot™ insert with cooking spray. Mix broth, seasoning and Worcestershire sauce in insert. Add ribs; turn to coat. Stand ribs up against sides of insert. Position oven rack 4 inches from broiler element. Set oven control to broil. Line rimmed sheet pan with foil. Spray with cooking spray. 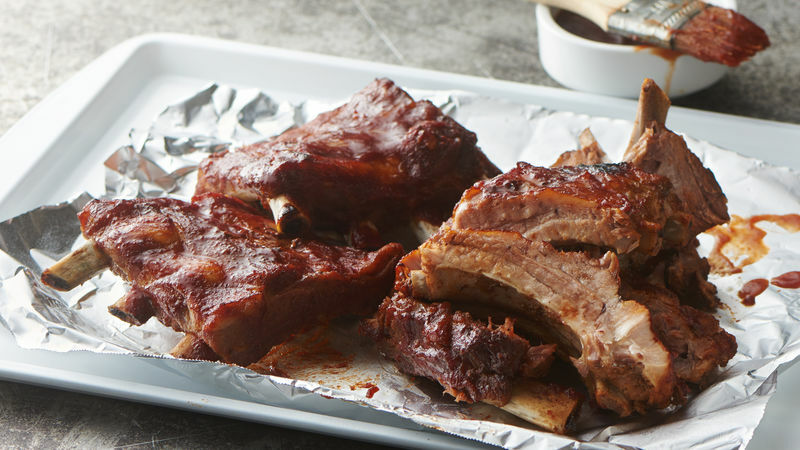 Place ribs on foil; brush all over with BBQ sauce.